Soon over 240 participants will take over our theatre to perform our most epic community production yet: The Rights Of Others. Exploring rights and freedoms, the production’s participants range from 2-76 years, with a real variety of perspectives at play. Working not just with The Marlowe’s participants but a range of partners including Fine Art students at Canterbury Christ Church University, stage managers from the University Of Kent, and a Kosovan film group; this is a production with community at its heart. Those of you that were here for last year’s inaugural community production The Garden Of England will recall how joyous and impressive the event was – combining an outdoor promenade performance, changing the atmosphere of the whole area, with a gripping new play in our Studio. Director of The Rights Of Others and Head Of Creative Projects Andrew Dawson tells us more about the ideas behind the project. Yet it has proved a winding and treacherous path where progress is in no way guaranteed and often remains in jeopardy. Last year, Tim Berners-Lee, inventor of the world wide web, called for a Magna Carta for the internet age where we face new frontiers in protecting the rights of individuals and disparate groups. It seeks to prompt urgent questions of our time and pre-empt the challenges to come. We hope that this project enables people to explore the meaning of justice and freedom, and provokes constructive debate through both process and performance in our participants and our audience. The process has produced vigorous discussion in rehearsals amongst participants which we hope has informed a deeper understanding of their own rights and freedoms, as well as those less fortunate, while bringing us closer together through our collective endeavour. We want to encourage understanding of our place within the bigger arcs of history locally, nationally and globally and in relation to the bigger ideas which grew out of that document sealed at Runnymede 800 years ago. This project has enabled us to connect with many members of our community with clear voices emerging from Canterbury’s universities as well as from international partners who have helped to place the project within a wider perspective. It is an extreme privilege to engage with such a diverse group of people. We hope the project serves to foster confidence and opportunity for individuals to thrive as artists and performers, and also importantly as engaged citizens. The life of The Marlowe Theatre and its creative vision grows out of these connections and invites more voices to feel emboldened to join in with these vital conversations. 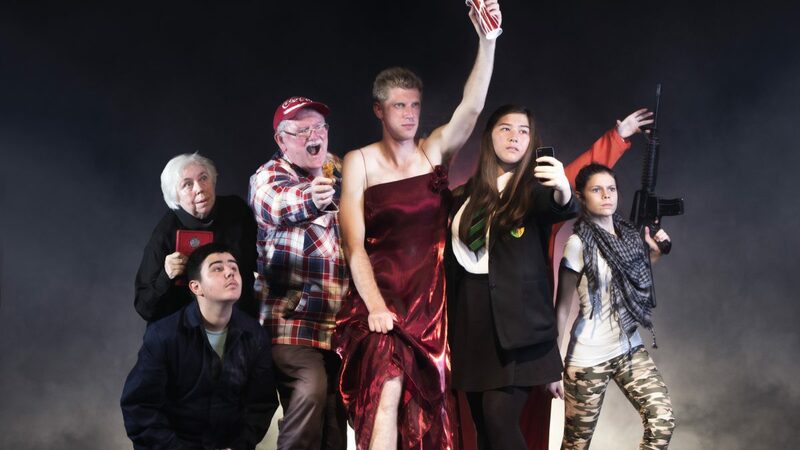 The Rights Of Others was performed in and around The Marlowe Theatre from Wednesday 8 – Saturday 11 July 2015, a culmination of our creative classes throughout the year. The production has been developed with support from The Kobler Trust, Furley Page Solicitors & The Marlowe Theatre Development Trust.